IS WW3 Being Forced into existence? By Rafael Zambrana January 26, 2015. The Media has become an instrument for governing, while losing its aura of credibility that people used to call it "the 5th State". The reason it was called so was because the power of consciousness is vital for even the worst dictators, who strive to manage the masses in a convenient, efficient manner (as the Argentinian military dictatorship tried with the Malvina's war against Britain). 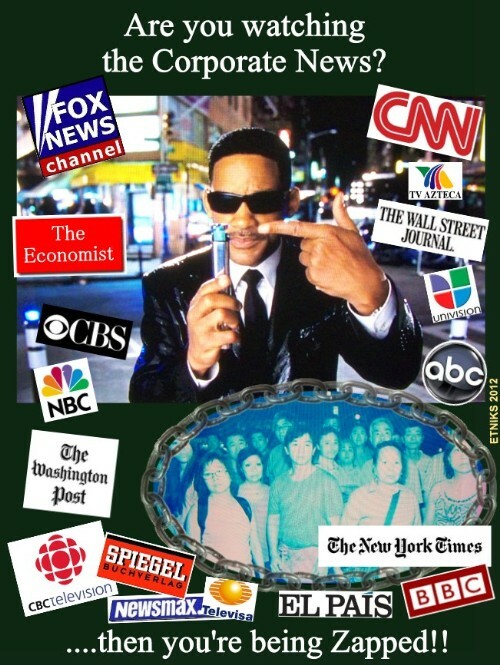 The governments of the so-called "Democracies" rely very much on the ability of the Main Stream Media (MSM) to promote its own policies, so they can benefit from the shared view point supporting their behavior in order to promote their holding of power for another period during elections. It has been documented with several studies where voters respond to signals that in fact change their perception of reality and affects their "consciousness" enough to support or reject certain people and ideas. Therefore Brainwashing has become part of the tools politicians use to foment their hold on power. explanation more according to the facts. Needless to say, a Nuclear War against Russia and China would be the end of humanity and its civilization triggering a Nuclear Winter, and the best way to get off the grip our leaders have on us, is to expand our consciousness with the truth of the consequences these actions would mean. This hopefully will cause a response from us to demand these psychopaths stop what they are doing.